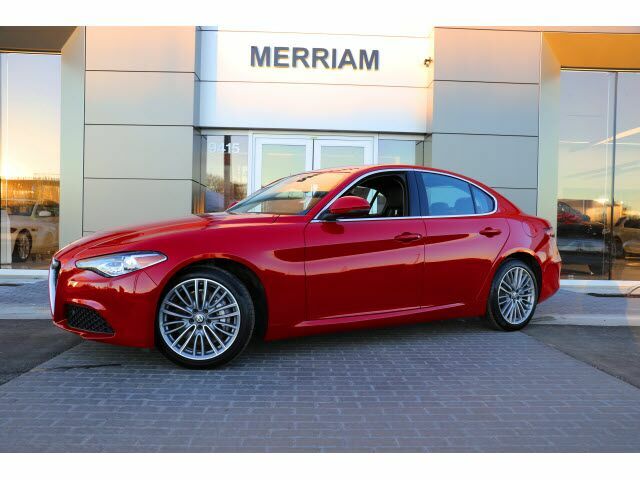 2017 Giulia Ti AWD in Alfa Rosso over Black Luxury Leather Interior, local 1-owner we sold new, clean Carfax this is very fun to drive, and quick with it's 280 hp turbo engine with 8 Speed Automatic Transmission, Sport Suspension, Remote Start, Back up Camera, Front and Rear Parking Sensors, Heated Front Seats, Heated Steering Wheel, Ti Lusso Package, Driver Assistance Package, Forward Collision Warning, 8.8 inch screen with Navigation, Harman Kardon Premium Audio System, and More! Please Contact Brian Stacy 1-855-979-0255 to Test Drive Today! Aristocrat Motors, Kansas City's premier luxury dealer strives for the highest levels of customer service. Voted "Best in Business" by the readers of Ingram's magazine, our customers are our number one priority.